Texas lost a ruling over its congressional map. So what's next for the state? Here's what you need to know about Friday night's huge — and incredibly complicated — ruling that effectively invalidated Texas' congressional map. A three-judge federal panel's recent ruling on Texas’ electoral maps could shake up state politics and carry national implications. The ruling may initially sound simple enough. Texas intentionally discriminated against black and Latino voters in drawing its 2011 congressional map, the majority found in a 2-1 ruling Friday night. More specifically: Three of the state’s 36 districts violate either the U.S. Constitution or the Voting Rights Act. But little is straightforward about redistricting, the once-a-decade process of rejiggering political boundaries to address the changing population. Friday’s ruling was no exception, simultaneously answering questions and raising new ones. Here’s what you need to know about the San Antonio-based panel’s ruling and what’s next. Which congressional districts were invalidated? The judges found fault with Congressional District 23, which stretches from San Antonio to El Paso, takes in most of the Texas-Mexico border and is represented by Republican Will Hurd of Helotes; Congressional District 27, represented by Blake Farenthold, R-Corpus Christi; and Congressional District 35, a Central Texas district represented by Lloyd Doggett, D-Austin. How did the map discriminate against minorities? Mapdrawers “acted with an impermissible intent to dilute minority voting strength” in some districts, the majority ruled. This included “packing” and “cracking” minority populations in certain districts to reduce their influence across the larger electoral map. Texas did not dispute that it practiced “extreme gerrymandering.” The state’s lawyers, however, said only partisanship, not racism, motivated lawmakers to pack and crack Democrats. But in Texas and elsewhere, race and partisanship are often intertwined, and opponents of the maps successfully argued — in a few cases, at least — that the Republican-dominated Legislature advanced the party’s interests by looking to race. The Mexican American Legal Defense and Educational Fund (MALDEF) was among several groups that cheered the ruling as a sweeping victory for minorities seeking to bolster their voices in politics. “The ruling will help protect Latinos from manipulation of district lines in order to reduce their political clout,” said Nina Perales, who is representing MALDEF in the lawsuit. So will the Legislature redraw the congressional map? And if so, when? Here’s where it gets tricky. Friday’s order made it clear that the 2011 map cannot stand, but it did not order anyone to immediately redraw it. That might be because that map wasn’t actually in effect. Amid the legal wrangling, Texas has conducted elections with a court-approved interim map. Li, the redistricting expert, said the court must still rule on that map, drawn in 2013. It’s not clear when that will happen. Striking down the 2013 map is something of a formality, Li said, because the boundaries of two of its districts — Farenthold’s 27th and Doggett’s 35th — are identical to those drawn in 2011. It’s anybody’s guess when Texas will get new maps — or even who will draw them. Generally, courts will give lawmakers another crack at drawing a map that’s been struck down. But plaintiffs could argue that Texas can’t be trusted to try again, pushing instead for an alternative fix. Can Texas appeal Friday’s ruling? Sure. Texas Attorney General Ken Paxton could ask the U.S Supreme Court to weigh in on the case. But it’s not clear when or whether the Republican will do that — largely because of how open-ended the ruling is. “Since this is an interim order that does not propose any relief, the State is evaluating its options, which may be impacted by any future court rulings,” Kayleigh Lovvorn, a Paxton spokeswoman, told the Texas Tribune on Monday. What about Texas’ state House and Senate maps? The courts have settled squabbles over the state Senate map, but a challenge to the House boundaries is still pending. It’s not clear when the judges will rule. What are the larger implications of Friday’s ruling? 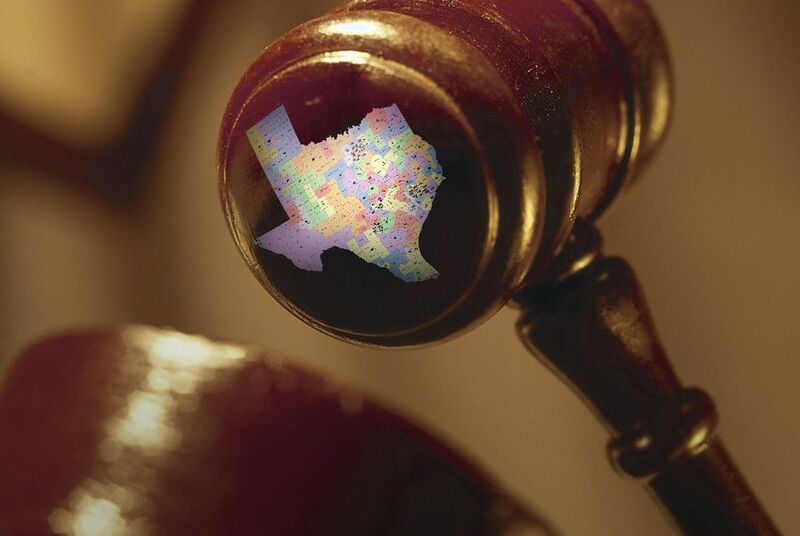 Experts call it huge that the judges found "intentional" discrimination in the congressional map — a condition that could ultimately put Texas back on the list of states that need permission to change their election laws. A 2013 Supreme Court ruling — Shelby County v. Holder — sprung Texas and other states with a history of discrimination from that list. But Section 3 of the Voting Rights Act includes a “bail-in” provision allowing courts to put a state back under supervision (a process called "preclearance") if it is found to have knowingly discriminated in changing its election laws. “This is a big test of whether the Voting Rights Act still has some teeth,” Li said. Before the Shelby County ruling, Texas needed the U.S. Department of Justice’s signoff to change its election laws. If courts again ordered such supervision, Texas could find a sympathetic ear from the current U.S. attorney general, Jeff Sessions, who applauded the Shelby County decision in 2013. But if the judges give Texas a supervisor, they could choose someone other than the Justice Department — another court, for instance. The redistricting case is one of two that could trigger preclearance. A federal judge in Corpus Christi heard arguments last month over whether Texas purposefully discriminated in crafting its 2011 voter identification law. Some of the state's 36 congressional districts violate either the U.S. Constitution or the federal Voting Rights Act, a panel of three federal judges ruled. In a unanimous decision released in April 2016, the U.S. Supreme Court ruled to uphold Texas' current system for drawing legislative districts so that they are roughly equal in population. The U.S. Department of Justice has ditched its longstanding position that Texas lawmakers purposefully discriminated against minority voters by passing the nation’s strictest voter identification law in 2011.